Working with the Lawn Connection team is easy and convenient. 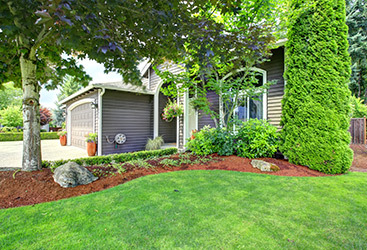 We're confident you'll love your lawn because our recommendations provide guaranteed results! Our goal to make lawn care as safe as possible for you, your family, and the environment is something we take seriously. That is why we use organic-based products whenever possible! As a local lawn care company, you’ll always know the technician servicing your home. Our work is honest and straightforward, always keeping you in the loop! "Lawn Connection is hands down the best lawn service I have ever used. My lawn is now the envy of my neighborhood." 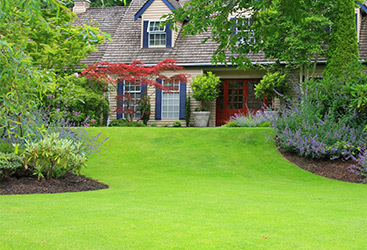 Since 1986, Lawn Connection has been providing the residents of New Jersey with top-notch lawn care services. That means for over 30 years, our team has been developing the most effective strategies, while minimizing the use of chemicals around your home, all to give your the dream lawn you’ve been longing for. At Lawn Connection, we aim to provide the best customer service possible, as well as save you a little money in the process. View our special offers to see how you can save on New Jersey lawn care today! 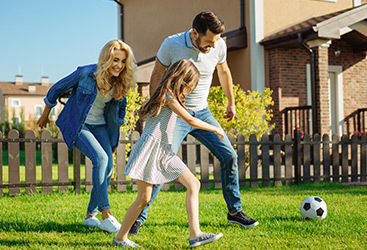 At Lawn Connection, we proudly call New Jersey home. We're a local company, treating every customer like we would treat our neighbors. Offering lawn care to Burlington, Camden, Gloucester, and Mercer county, we proudly service Medford, Mt. Laurel, Moorestown, and more!